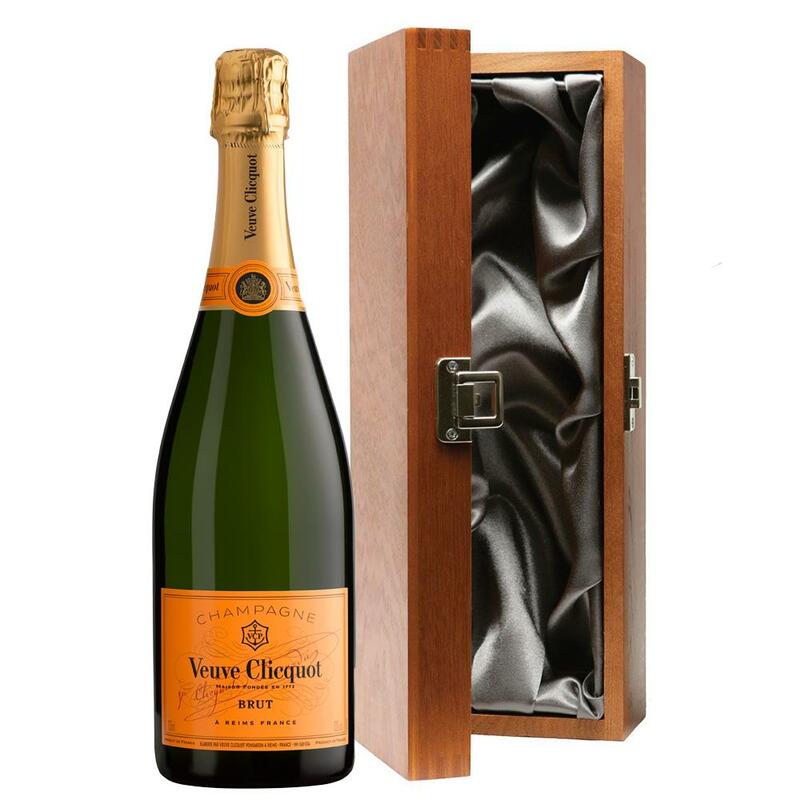 Luxury added to your bottle of Veuve Clicquot Yellow Label Brut Champagne Bottle - Veuve Gift Box with the alluring wooden case with hinged lid. The case is made from wood, which is beautifully complemented with stainless steel hinges and clasp. This case adds the ultimate luxury to any gift and is delicately lined with silver satin. Veuve Clicquot Yellow Label Brut Champagne Bottle In A Veuve Gift Box Veuve Clicquot is a warm deep yellow-gold. The mousse is fine and persistent. On the nose fruity notes mingle with notes of brioche pralines and mild spices. The silky full palate shows rich notes of honey and custard which give the structure of the wine a perfect roundness. 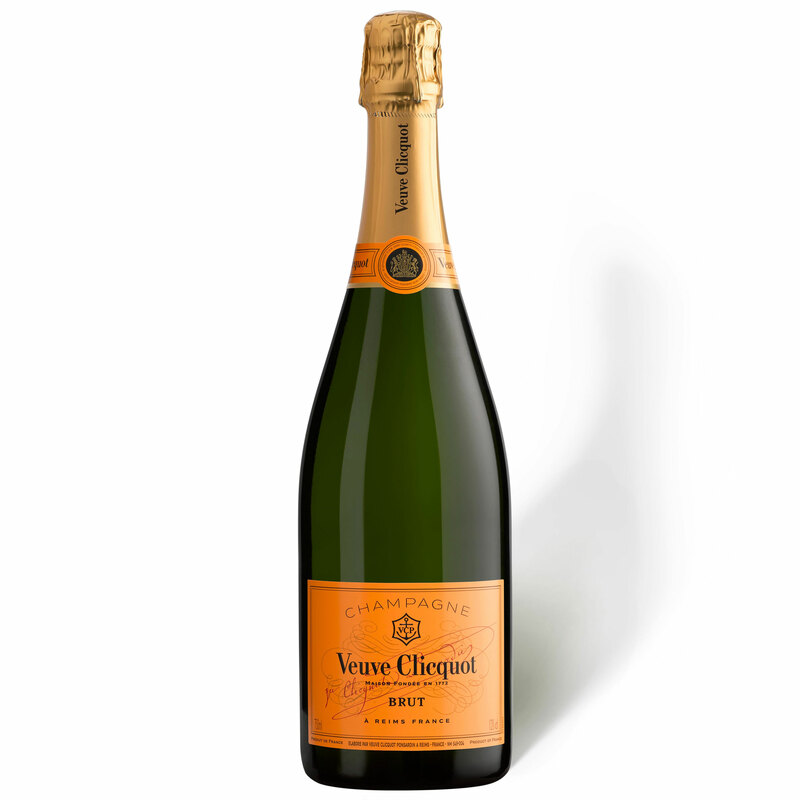 The finish is long and smooth Sending a bottle Veuve Clicquot Champagne makes a gift. If you want to send more Veuve Clicquot gifts please see full list below.